A paper delivered by author Warren Adler, September 27th, 2000 at the Third Annual Electronic Book Conference and Show, Ronald Reagan Building, International Trade Center, Washington, D.C. In nearly three decades I have published twenty five fictional works, including twenty three novels and two collections of short stories. The majority of these books have been translated into more than twenty foreign languages. All have been published by well-known mainstream publishers with large lists and resources. 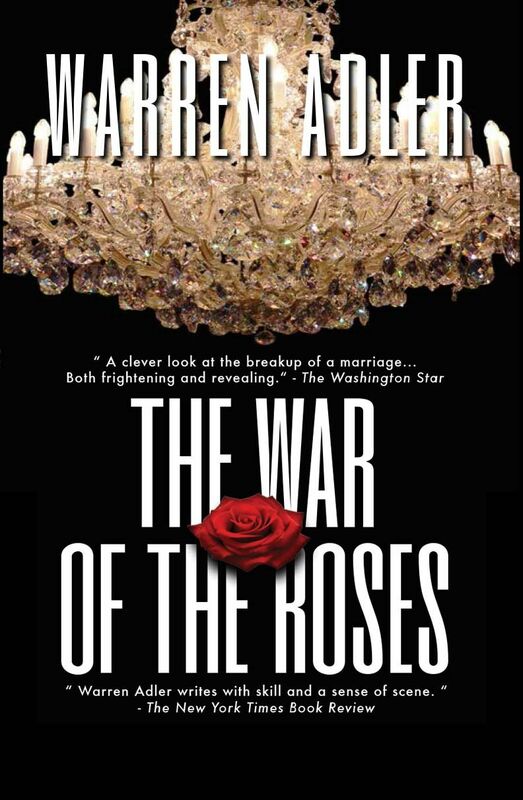 Although ten of my books have either been bought or optioned by film studios, only two have been made into theatrical films, “The War of the Roses” starring Michael Douglas and Kathleen Turner and “Random Hearts,” starring Harrison Ford and Kristin Scott-Thomas. The War of the Roses filmed version has become a classic playing for more than ten years at least once a week on television stations all over the world. Three of my short stories, from my collection, titled “The Sunset Gang”, depicting the life of senior citizens in Florida was a successful and critically acclaimed mini-series on public television. It has played many times on stations everywhere. My books have been reviewed, often favorably, and I have participated in numerous national books tours and have appeared on major national TV shows and panels. Yet, despite this notoriety, after seven years on publisher’s back lists, most of my books have been declared “out of print” and have, up until now, been available only in Public Libraries or have been gathering dust in my library and selling as collectors items all over the world at considerably more than the cover price when originally published. In the trade book world of which I speak, that ominous label “out of print” is a declaration by the publisher that this or that book is no longer a viable economic entity as far as they were concerned. It is the ultimate rejection slip, the tolling bell of authorial demise. There is, however, some solace in knowing that it has happened to many now famous American author icons. In the old economy of the publishing business these decisions seemed to make economic sense to the then managers, a practice that has accelerated in recent years after the entertainment conglomerates consolidated their hold on these entities. We all understand the inevitable consequences of such takeovers. Trade books, fiction and non-fiction, that were deemed uneconomical are ruthlessly slashed from back lists, regardless of merit or content. Indeed, the managers of today either make their numbers or they are booted out of their jobs and, invariably, the industry. In the thirty years of my authorial adventures, I have witnessed first hand what can be called a cataclysmic publishing revolution. Indeed, it is still bubbling with ferment and uncertainty. Publishing is now in the hands of a few global giants. Hardly anyone in the business, whether administrators or editors, with exceptions, of course, can look forward to an assured lifetime career. People who have their moment in the sun, the gatekeepers who make the decisions on what will or will not be published are quickly cast aside when their decisions fail to rise to the level of their mostly off-shore director’s expectations. Decisions as to what book is to be well-published, meaning well designed and produced, expensively marketed and advertised, distributed in large numbers and heavily promoted in the old and new media and point of sale in brick and mortar venues are mostly based on the politics and biases within the publishing house, public whim, the current national craze or controversy, past track records, and the usual hopes and dreams and persuasive skills of the best salesman around the conference table. One must have some compassion for those who slave in the withering vineyards of traditional publishing. They are in a lousy business. Books, for example, are not purchased by bookstores as are other products in the normal cycles of retailing. They are consigned. What is not sold by the bookseller is shipped back to the publishers to be remaindered, stored and ultimately destroyed. Of course, my bias is toward the ultimate victim of this arcane enterprise, the literal oxygen maker of the publishing business, without whom there could be no business: the inventor of the product, the intellectual manufacturer of the goods, the author. Except for the happy few who are in current favor and whose books are well published and heavily promoted the average author has been powerless, naked and unarmed, his career dependent solely on the judgment of the publishing employees of the moment, forced to pin his or her hopes on the rare miracle of instant public acceptance, for example, the Harry Potter books. Most authors must stand by and watch helplessly as their books are sent out into the world, catalogued but mostly unheralded, barely supported and largely unnoticed with many doomed to enter the nether world of “out of print.” This is not to say that publishers do not keep their fingers crossed hoping for that rare Harry Potter miracle. But they know that they have bet their resources on maybe one or two books in each publishing cycle, hopefully, to provide the overall return that will please their accountants and overseers. Indeed, decisions to well-publish a book regardless of the material’s intrinsic merit, is often based merely on a gut bet that this or that book might sell and earn back its advance to the author. This is no indictment of the people in the traditional publishing system. They are very hardworking, mostly underpaid, talented folks sincerely interested in the writing trade. And they will surely offer other perspectives and arguments to rationalize their choices. Sometimes, not often, they win their bet. Name brand authors do arise, gather a large audience and continue to sell year after year. For the publisher, they are the stars who drive the machine. 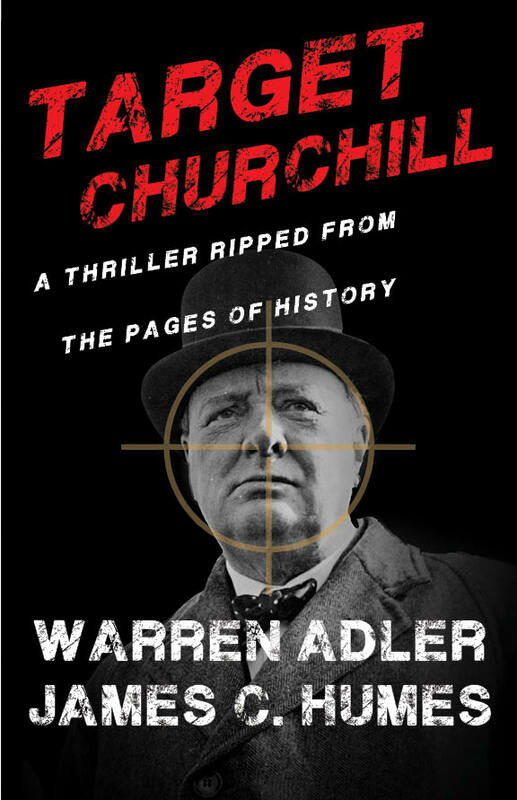 At times, they fall back on other methods to keep their businesses afloat, publishing exploitive books hurriedly written, as those, for example, published during the O.J. Simpson trial, which literally supported the industry during that period and crashed precipitously when a huge advance to O.J.’s brief bed partner ended in disaster. Then there was the Monica Lewinsky flurry and the now thriving trash Hillary industry. But the life of an itinerant but serious author like myself, who has been published by a number of major publishing houses, most of which have been pasted together by entertainment conglomerates and overseas entities, has been one of perseverance and heartbreak, ups and downs, highs and lows. In my case, the movies have rescued me from a life of ink-stained obscurity, for which I am grateful. Two years ago, I might have accepted my fate, packed up my dreams of sustaining my career, perhaps content to exhibit my out-of-print output on bookshelves in my home to various party guests who would view my titles, drinks in hand, and politely register their praise. Remember the oft repeated comment of F. Scott Fitzgerald that there are no second acts in American life. Old Scottie was wrong. We out of print authors, at long last, have the means and opportunity to be born again, resuscitated, recast, re-discovered. And, even better, the possibility now exists for new voices, new writers, to be read, to be heard, to be found has increased a million fold. Thanks to the e-book option, an author now is empowered to speak out on his or her own terms, to find an audience, to be a free agent and throw off the shackles of other people’s agendas and motives. Bless all you nerds and techies. You have made it possible for an author like myself to aspire to an Act Two in American life, maybe even an Act three or four or more. Not only for me but for everyone to whom telling stories, writing works of the imagination, is a true calling. Bless, too, my agent, Peter Lampack, who never gave away my e-rights to publishers. In fact, I might say, that perhaps the greatest lack of foresight, a business blunder that could rival IBM’s letting Bill Gates have the rights to his Microsoft codes, has been the publishing community’s lack of vision in not being able to look ahead and garner the e-rights to an author’s work. In my opinion that lack of vision will continue to painfully resonate throughout the industry. This does not mean that the traditional publishers are on the path to extinction. They simply will have to rethink their business plans and find their own way into the e-book market. But internet empowerment for the author does not mean guaranteed success. Far from it. What it does mean is that the engine of distribution, the pipeline once totally dominated by the major publishers, is now, effectively, open to all. It also means that, for the first time, an author, if he so chooses and has some resources, can compete in some measure in the marketing and promotional process for his own individual work. In generic terms, at the present moment, he could not possibly compete with the major publishers, except in the realm of his own content. Make no mistake about it. There are many minefields ahead for the individual writer who chooses the e-book option. It is and will continue to be a Tower of Babel out there in cyberspace. Content will be overwhelming, much of it, sad to say, unedited, amateurish, unreadable. The challenge and risks are many. Thankfully, my work has already been vetted by professional editors at major publishing houses, many of them gone now as the publishers in their zeal to cut costs have severely restricted that area of their expertise. The trick will be to get above the chatter, find creative ways to brand my authorial name and titles and find my niche in the marketplace. Most of us are not Steven King who is a well branded name with a huge following. All of us will be forever thankful to Steve for leading us into the e-book phenomenon. My strategy will have to take a somewhat different tack. I’m not as well known. I do not write in a single genre. My books are more eclectic, a major disadvantage from a marketing perspective. My intention, win, lose or draw, is to create a transactional virtual bookstore website with links to individuals and partnerships with booksellers world-wide offering all my books on all major platforms and in all languages, including print on demand where my print rights have reverted back to me, and promote those books that are still in print whose rights are owned by other publishers. My new novel, “Mourning Glory” due out next year, which will be published by Kensington, who have planned a large promotional campaign for its hardback launch, will, in addition to being promoted in the old media also be promoted on my site with links everywhere in cyberspace. I have begun the process of digitizing my books for all platforms. That task will be undertaken by OverDrive, a company in Cleveland with much experience in the e-book field and I am in negotiation with various entities who can create the website, the transactional and linking mechanisms and the promotional program, the so-called bells and whistles to, hopefully, bring traffic to the website. I have the luxury of having spent years in the advertising and public relations business and will be deeply involved in devising ways to get the word out. Yes, it will be costly. I am committed and prepared for this investment. To a large extent, aside from my family, my work is my life and this is my life’s most important investment. It is a big and risky bet and I am making it based on the premise that my work, once exposed on a vastly larger scale than it had been originally, has the viability to attract a greater audience. No writer worth his salt can think otherwise. We are, after all, an ambitious band of dreamers. If we didn’t believe in our ability to enlighten and entertain, why spend days, weeks, years in lonely isolation concocting our stories? Obsession or delusion, it is our fate and our calling. As Robert Campbell said: Follow Your Bliss….whether it leads to promise and fulfillment or over a cliff. My virtual bookstore will offer all my novels, plays, short story collections in all formats and languages, in text, audio or print. First chapters will be provided without cost. Pricing has yet to be decided. A chat room will be created. A newsletter will be written and methods devised to create a data bank of readers. Dreaming on, there is even the future possibility of adapting my work to movies that can be self-produced inexpensively through technology now in place. This project will either be a case of having more ambition than brains, more fantasy than reality, far more ego than humility, an overabundance of surreal self-confidence, or might, just might, create demand for my work and revitalize my future. Surely it will point the way for other authors in a similar position to dip their toes in the infinite cyberspace universe. Many are there now, some happy to have their work available in an array of data banks. But, the question remains, is their work being purchased and read or simply lying dormant in an electronic storage bin? Whether or not this present business plan will be the right formula for myself and others remains to be seen. I am an optimist by nature and a gambler by inclination. But I do believe I have the ability to assemble the right colleagues to create the medium and take advantage of the technology. I am convinced that my plan, or some version of it, refined as we go along, tweaked and nurtured, will be the wave of the future for all authors. It will come. It will happen and with a speed that will boggle the mind. All that is needed is the courage to try.